There is single-lane access road (Wiedman Way) that runs through a wooded area starting from the sharp bend in Brookdale Road. 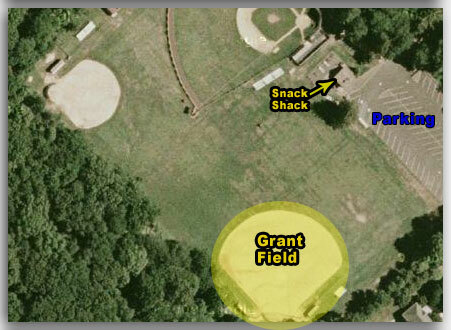 Click Map button above. Phillips Fields is Watchung Little League's general facility. 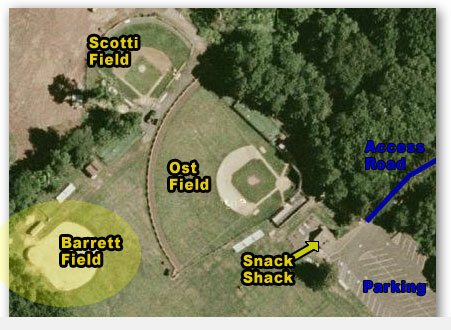 Here you find parking, snack shack, and 3 ball fields: Ost (Majors), Barrett (Minors), Scotti (T-ball).